When it comes to watching TV, the clearer the picture the better, right? Well with 4K TV, you can experience viewing quality like none other. 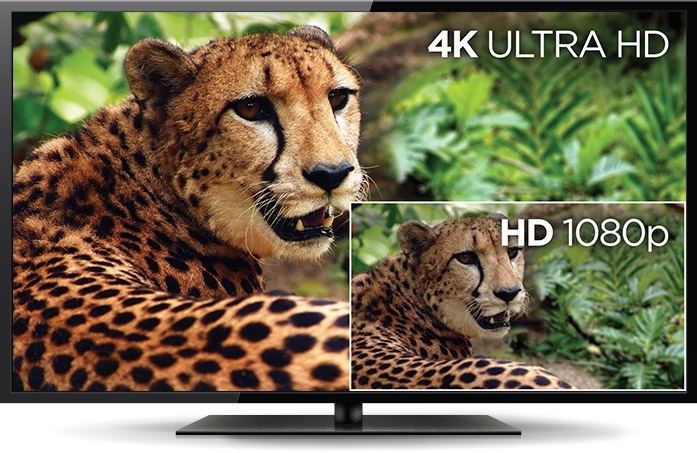 So what really makes 4K so much more superior? 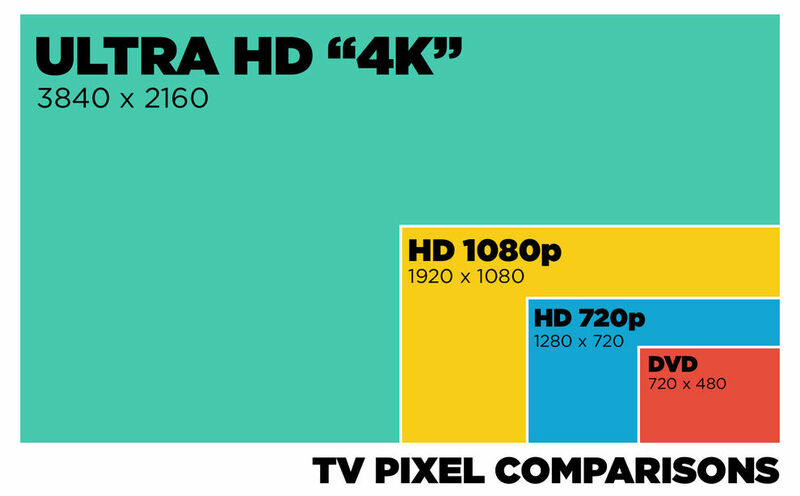 To better understand how 4K translates into a clearer picture, the matter of pixels needs a little bit of explanation. Essentially, an image being displayed is comprised of numerous, small squares called pixels. When an image has a low pixel resolution and is then displayed on a larger device, the image is stretched, which means that the missing spaces in-between the pixels are filled with like-colors to try to compensate. This results in a fuzzy, unclear image. So with that in mind, when it comes to viewing images, the larger number of pixels the better. When your display device has a resolution with a higher number of pixels that means you’re getting a clearer, more vibrant and much more realistic image being displayed. Well, 4K resolution refers to a display device that has 3840 pixels horizontally and 2160 pixels vertically. As you can see in the comparison chart provided below, that is nearly four times as high of definition as the commonly known HDTV (1080p). If you are someone who doesn’t want to just watch TV, but rather feel immersed in it, 4K is just the thing for you! Bring what you’re viewing come to life through the help of vibrate colors and a crystal clear picture. With 4K you elevate your time from watching to experiencing. If you’re interested in enhancing your viewing experience with the use of a 4K TV, contact LIGHTWORKS today and one of our team members will be happy to assist you!